The hot season is finally in the air! My summer sandals knitting pattern is now born. I was inspired by the memory of my first pair of shoes for the beach when I was just 1 year old. Of course I can’t exactly remember those moments but I saw some pictures last day while tiding up my dining room. My shoes were red too and I liked to re-create them for little babies. 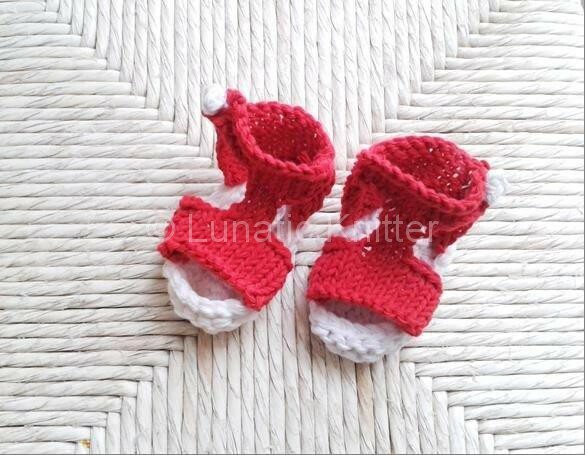 This entry was posted in knitting, Uncategorized and tagged knitting patterns for babies on May 22, 2014 by Claudia.